APN stands for Access Point Name. It is the connection between your service provider and your phone. It is a gateway name which connects mobile network to the another computer network on public internet. 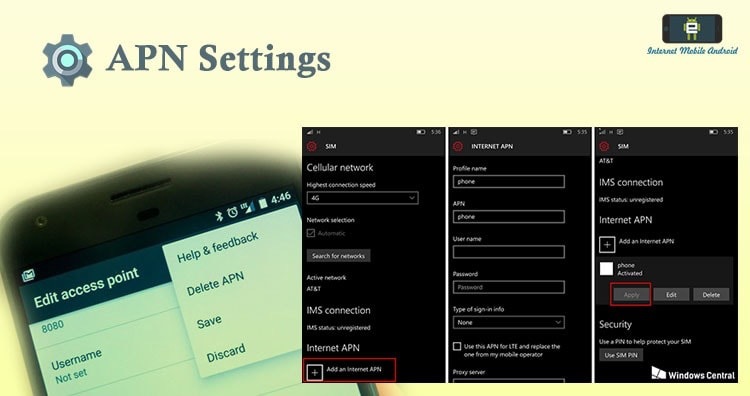 APN Settings is the application that has the list of most of the “APN Settings” across the globe; covering many major mobile operators Activating APN Settings on your phone, allows data services to work.